Douglas-Carroll-Paulding Counties Alumnae Chapter of Delta Sigma Theta Sorority, Inc. The following programs are directed under the Educational Development Programmatic Thrust. The Academy was created out of an urgent sense that bold action was needed to save our young females (ages 11-14) from the perils of academic failure, low self-esteem, and crippled futures. Delta Academy provides an opportunity for local Delta chapters to enrich and enhance the education that our young teens receive in schools across the nation. 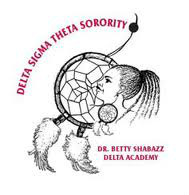 Please visit www.DeltaSigmaTheta.org to read more about the program. This program is designed to refocus the efforts of Delta Sigma Theta Sorority, Inc., with the support and action of other major organizations, on the plight of African-American males. 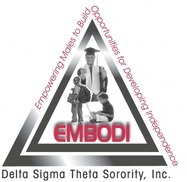 Please visit www.DeltaSigmaTheta.org to read more about the EMBODI program. The formation of GEMS was a natural outgrowth and expansion for the continuation of the highly successful Dr. Betty Shabaaz Delta Academy: Catching the Dreams of Tomorrow. 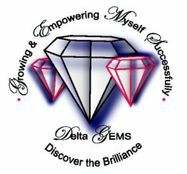 Delta GEMS was created to catch the dreams of African American at-risk, adolescent girls aged 14-18. Learn more about the basic principles developed by the program at www.DeltaSigmaTheta.org. This is the time for High School teens to shine and come out to society as beautiful, intelligent and hopeful young ladies with promising futures. Our younger participants are building their college funds to secure the financial future for their education. In the whimsical world of "Alice in Wonderland" by Lewis Carroll, the Jabberwocky holds a spectacular gala event that excites the creatures in the land with great anticipation. In 1925, Delta member Marian G. Conover Hope of the Iota Chapter in Boston, Massachusetts creatively transformed this mythical character into a dramatic concept while devising a plan for a fundraising scholarship project. Today, it is also a celebration with entertainment and as a rite of passage for young girls after completing a series of personal development courses. 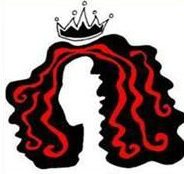 Delta Sigma Theta Sorority, Inc. acquired the copyright to the exclusive use of "Jabberwock" on December 28, 1947.